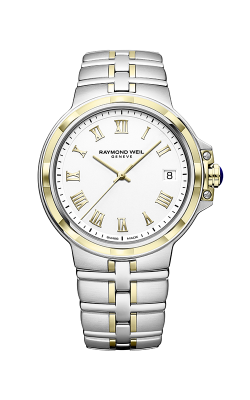 Based in Geneva, Switzerland, Raymond Weil remains one of the only family-owned watchmaking, and use this independence to craft innovative timepieces superior fashion and functionality. 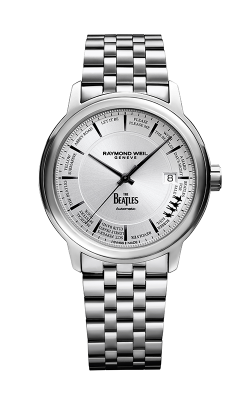 Inspired by rhythms and styles of popular music, the men's watches of Raymond Weil feature a number of useful complications that include precise chronographs, tourbillon movement, power reserve subdials, and more. 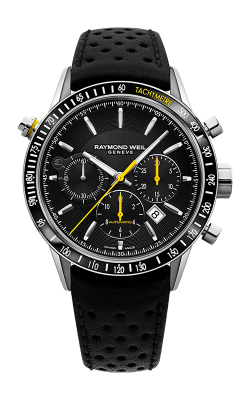 Honored to be a part of this ongoing legacy of timekeeping excellence, the watch experts at Trice Jewelers are thrilled to bring their Denver area customers an extensive selection of the latest and greatest men's timepieces from the masters at Raymond Weil. 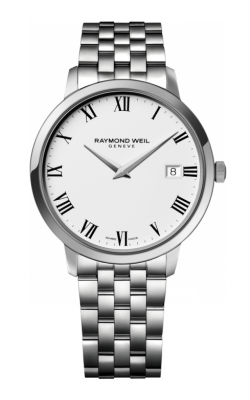 As an authorized retailer of Raymond Weil men's Swiss watches, guests of Trice Jewelers can expect to find hand-selected timepieces from some of Raymond Weil's most sought-after collections. Watch aficionados can select from the classically-designed, dapper watches of the Toccata collection, or explore the equally polished pieces of the Maestro collection. 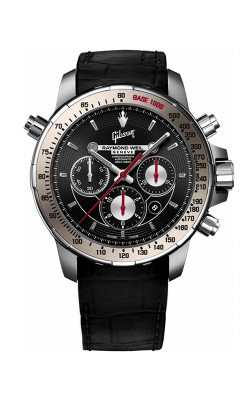 Watches from these collections boast sleek dial designs, date complication features, and are crafted from a handsome leather, stainless steel, as well as gold plated stainless steel. 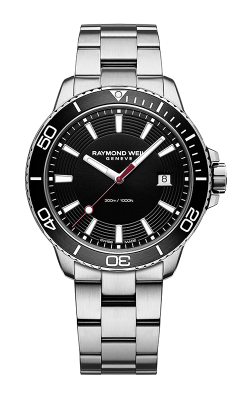 Also available today at the Centennial, Colorado, showroom of Trice Jewelers are the aesthetically pleasing, yet fully practical, men's watches from Raymond Weil's Tango collection, the technically advanced Freelancer, in addition to the sporty timepieces of the Nabucco collection. With sophisticated models both practical and refined, and an expert staff eager to help, guests are sure to find their ideal Raymond Weil men's timepiece today at Trice Jewelers. For 60 years, Trice Jewelers has been serving customers in the Denver, Highlands Ranch, Lone Tree, Littleton, and surrounding areas with the latest in engagement rings, wedding bands, timepieces, and fine jewelry fashions. Conveniently located in Centennial, Colorado, Trice Jewelers is proud to be an authorized retailer of men's timepieces from Raymond Weil, and is thrilled to also offer numerous collections from Seiko and Victorinox, along with designer bridal jewelry pieces from Noam Carver, Gabriel New York, Simon G. , Fana, CrownRing, and many more.